Jon Turner (known as "PearlJammer" at online poker sites) is a force in tournament poker, especially in the biggest online multi table tournaments. Turner has recently expanded his game to include sit and go's as well as live tournaments like World Series of Poker and World Poker Tour events. PearlJammer's strategy and style have often been compared to Phil Hellmuth's particular type of play. He is known for making nearly minimum raises pre-flop, then not pushing hard on the flop, the turn, or the river. He uses this strategy to lull his opponents to sleep, then trap them when they try to steal the pot. Over the years opponents have continued to donate their chips to PearlJammer's stack, and the final tables keep coming. Turner can be found at all of the major online poker sites, including PokerStars and Bodog Poker where he goes by "PearlJammer", and Full Tilt Poker, Party Poker, and Ultimate Bet where he goes by "PearlJammed". 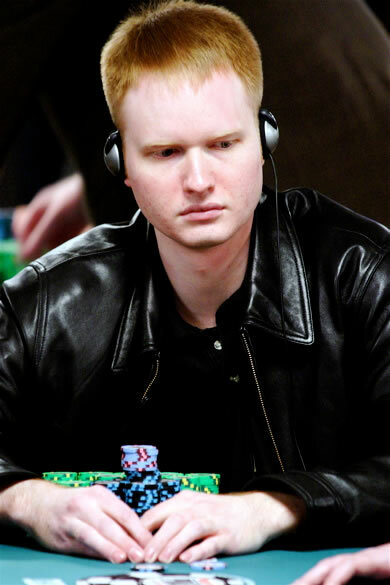 Turner also used to play as "asdfgher" at PokerRoom.com when they accepted USA players. Jon has always maintained that FullTiltPoker.com is his favorite poker site because of their easy-to-use deposit options and outstanding tournament structure. Between his live and online scores, PearlJammer has racked up over $3,500,000 in winnings. Turner currently resides in Henderson, Nevada where he plays online, and also spends a lot of time traveling around the live poker circuit. He enjoys a number of other arts besides poker including music, guitar, and movies. Jon also watches and assists close friends, teaching them poker strategy and tactics. Some of these friends' usernames include xtracey, mcnallyville, jay fiedler, bearw8, steveman, and rizen. PearlJammer wishes to someday own a home in Las Vegas, which he considers the most interesting place to live. His favorite cash game is a $7.50/$15 Triple Draw game.